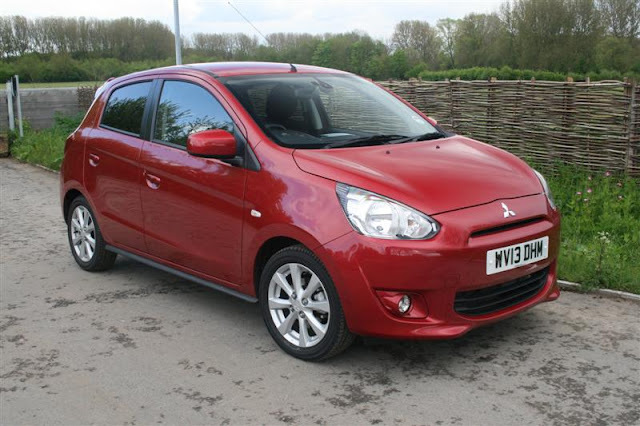 If you're on the lookout for a practical five door supermini with minuscule running costs then you might want to head in the direction of your local Mitsubishi dealer. 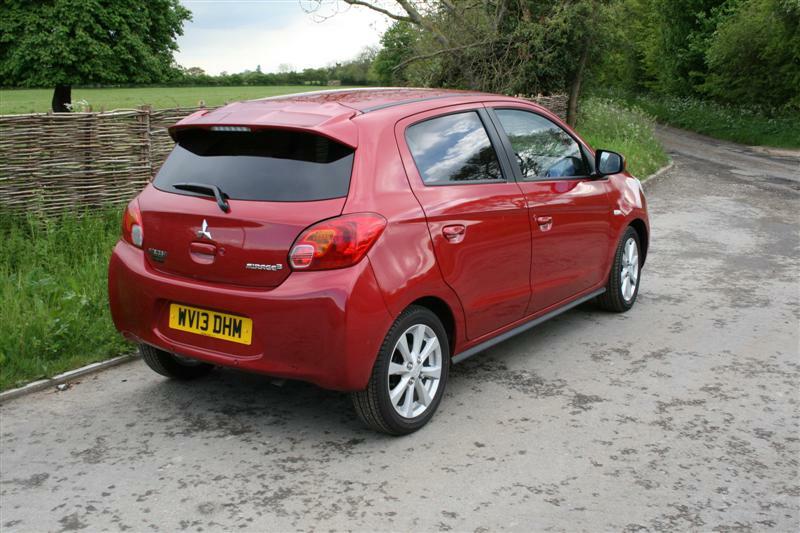 You see this new Mirage is the successor to the popular Colt and is the first model in which the entire range sneaks under the 100 g/km threshold wiping out the cost of road tax. Its been achieved by keep the car as light as possible meaning you can get away with smaller engines in the Mirages case 999cc or 1193cc three cylinder petrol units with a choice of five speed manual or a CVT automatic (not available with the smaller engine). You can expect economy somewhere in the range of 65-70 mpg whichever engine you pip for. Its an incredibly easy little car to get on with. It has a comfortable ride and all of the controls are feather light making it a dream to drive in bustling city centres. The snappy five speed gearbox in our car is wonderfully precise if only the same could be said for the steering. The fizzy 1.2 triple rasps away making light work of bringing the 845 kg Mirage up to motorway speeds and then settles down nicely. The problem is that it draws your attention to the wind and road noise around you. 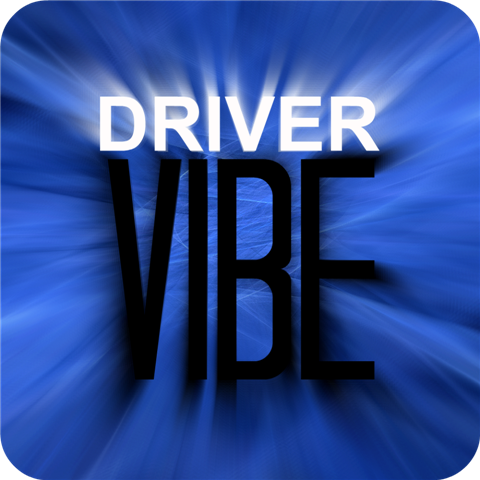 It only starts to feel out of its depths on twisty roads where the product of the soft forgiving ride is sloppy body control that wallows all over the place. 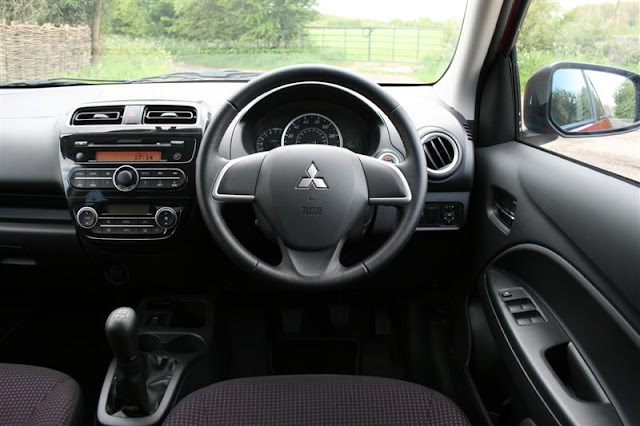 From behind the wheel its easy to admire the Mirages simple take on cabin design thanks to its clear and concise layout. It's robustly constructed but its easy to see where corners have been cut when you examine the choice of plastics. Despite the lack of reach adjustment of the steering column it's a doddle to find a comfy driving position and visibility is very good. Space is generous for four adults which is impressive given the new Mirages more compact dimensions and the boot is a useful size too. If you like your toys then the 3 spec you see here is the one to have. As standard you get power steering, digital climate control, four electric windows, keyless entry, a quality CD player, automatic lights and wipers and front and rear parking aids. You also get 15 inch alloys and a rear spoiler which really is the only thing to get excited about on the outside. The styling is understated to be polite and dull if you're not in the mood which is a little bit of a letdown as the Colt that went before was blessed in the looks department. 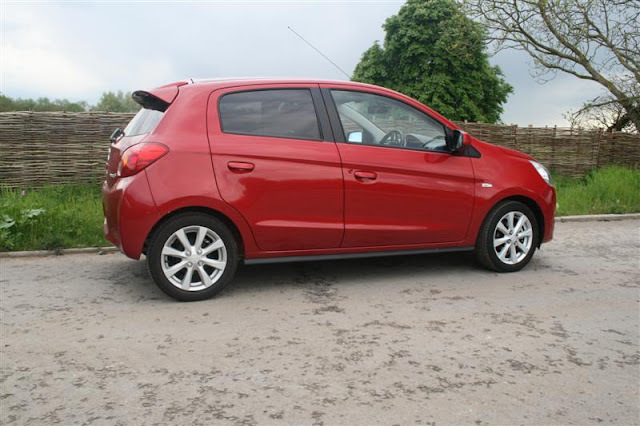 Still with a range that kicks of at just £7,999 (with Mitsubishi's current deal) for the basic 1 which is anything but to £10,999 for the model you see here the Mirage represents superb value for money. It should also last a lifetime if Mitsubishi's reputation for reliability is anything to go by. Like all cars the Mirage is far from flawless. It doesn't handle very well, has a cheap feeling interior and is unlikely to have you glancing behind you as you walk away from it but there is still lots to like. The cabin is spacious and feels sturdy, it costs pennies to run and it comes with with a choice of two characterful, economical engines. Its also very comfortable and is cheap to buy. So its certainly going to hold plenty of appeal for many motorists.